Every week, your family gets together for dinner. Family time is important and you appreciate every minute you spend with them. Family members are great especially if they support your ideas. This week, you decide to show off your beautiful hand made jewelry. Everyone knows about your passion for jewelry. That’s when you decide to launch an online store, but you realize it’s not as easy at all. You see, maybe it’s easy to create an online store but that’s only part of the journey. You will need to build an audience, drive traffic to your store, have people buy the product and ship with hopes that all goes well. So what’s the common challenge faced by new store owners? How to get traffic to their website. Without traffic to your website, you won’t be able to sell anything. Also, keep in mind that quality traffic is key. There’s no point in attracting the wrong customers because they’re simply not going to buy what you have to sell. Personally, I would rather get 100 people to my online store and have 10 of them buy versus 1000 people and only 1 person buys what I have to sell. 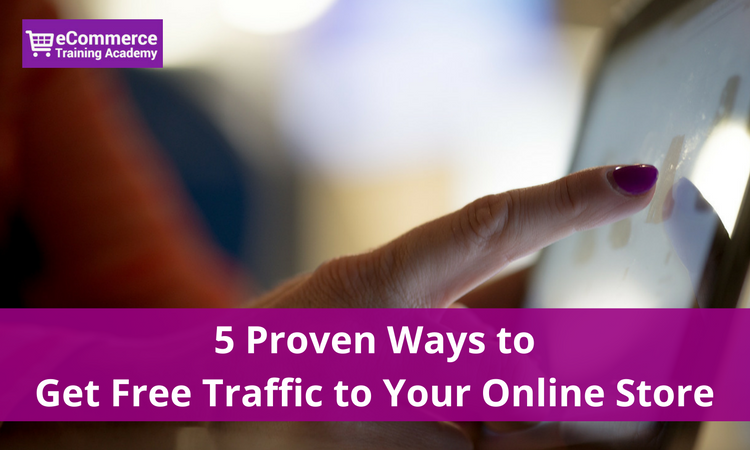 Some might say there’s no such thing as free traffic. Nothing is free. While I agree there’s nothing free in this world, you can still get traffic without paying for it as long as you know that you need to have the right knowledge and invest time in executing tactics. When you’re thinking about buying something, you either visit your favourite online store or start your shopping journey on a search engine like Google or Bing. Let’s assume you’re going camping and you’re thinking about buying a hammock. Have you noticed how when you’re doing these searches on Google, you end up clicking on links that are among the top 5 and maybe 1 or 2 ads that show on top of search results? That’s why it’s very important to make sure that your online store shows up among those results for the specific search terms that you’re targeting as well as terms that are being searched by your target audience. Keep in mind there’s no point in targeting keywords that people aren’t searching for. In my opinion, search engine optimization is widely forgotten by small online stores mainly because results are not immediate and it requires you to understand how SEO works. You need knowledge and patience to make SEO work for you in the long-term. 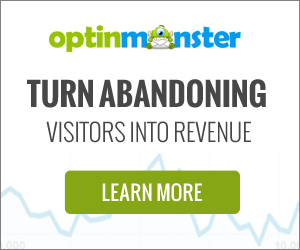 On-page optimization is simple. Spend some time understanding the guidelines and then optimize each page on your site. Focus on mobile optimization by making sure you’re website looks and works well on all mobile browsers and devices. You can use testing tools like Screenfly or Browserstack. Optimize key pages in your online store such as the homepage, category pages, product pages, about us page, contact information page. The way you do this is by making sure pages have all required tags and text that search engines would want to see visible as well as making sure you’re designing the page for shoppers by displaying relevant content. I plan on creating more blog content to show you how to optimize these pages but for now you can visit Moz. Keep in mind there’s a lot more to SEO than simply optimizing store pages. For example, having a content strategy such as a blog will bring you longterm success. This will be discussed next. 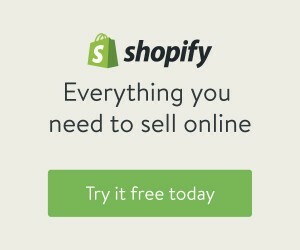 Want to learn about SEO and drive free traffic to your online store, consider following Moz.com. They have a great learning center as well as a powerful SEO tool to help you with your online efforts. You need patience – don’t expect google to rank you fast. It could take up to 3-6 months to see results. 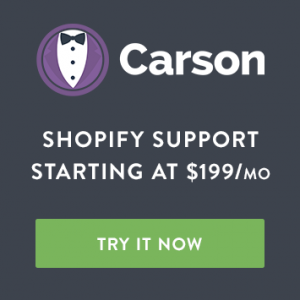 Optimize for shoppers and not search engines – help users get what they want. Avoid fooling search engines – the last thing you want is getting blacklisted by search engines because you’ve prohibited SEO tactics. Succeeding in eCommerce is not only about selling but also being helpful. You become helpful by helping your target audience find solutions to their daily challenges. Let’s use the Hammock example. Your online store sells hammocks. Why? I’m not asking why you started selling hammocks but why are you in the business of selling this type of products? Why would people buy hammocks in the first place? Does it make your backyard more enjoyable? An alternative to a tent? It’s a comfortable way of relaxing? It’s easy to carry while in the outdoors? Helps you catch up on sleep anywhere? For me, a hammock allows you to enjoy the outdoors and appreciate views – alone or with someone special. By understanding the why, you will be able to create content for the right outdoors audience and help them enjoy their journeys. You can then create valuable content in helping them decide how to buy the perfect hammock, how to maintain it, places around the world you can visit and use your hammock and so on. Creating a content strategy and distributing this content on a blog will help you drive traffic to your online store for a very long time especially if you create quality content that’s well optimized. What Type of Content Should You Create? Where Should You Share This Content? A great book you should consider reading is called Youtility and follow the Hubspot blog for amazing content marketing tips. Focus on quality – don’t simply create but focus on creating valuable content. Diversify your content – Create text, video or visual content. Test everything and see what people engage with. Focus on the 80/20 rule – 20% of your time creating content and 80% of your time spent promoting it. Guess What? Social media is not going anywhere. It’s here to stay. Is social media a waste of time? It really depends on how you use it just like everything else in life. Back in the day, before Facebook owned most social media networks, it was easy to reach your audience by not having to pay for it. But now, it’s a lot harder and the only way to get the most out of your social efforts in order to drive free traffic to your store is by growing your audience and to consistently create valuable content. Which Social Media Networks Should You Consider? The first step is to create social media profiles and then brand them. Second, post content regularly. Be consistent. Third, engage with others by liking, commenting, following and even replying to comments left on your content. Don’t simply broadcast but authentically engage with the community. Create different content on each social media network. Avoid duplicating as much as possible. Create variations. Test with paid ads to help support your free tactics. Another proven way to get free traffic to your online store is to collaborate with other individuals within your industry. 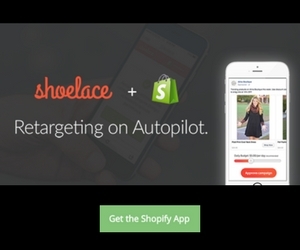 This tactic will allow you to tap into their established networks and reach a new audience. Leveraging established networks will boost your reach. Remember, don’t just collaborate with everyone. Collaborate with those who already have the attention of your target market. For example, if you sell hammocks, consider working with photographers that travel the world and share their experiences on Instagram. Collaborate with hunters sharing their hunting journeys on Youtube and so on! Who Should You Collaborate With? It’s not about the number of follows/subscribers – it’s about engagement level. You don’t want to collaborate with someone who has millions of followers but no one is paying attention to them. Craft your message carefully – you don’t want to be seen as someone who’s simply trying to sell to their audience. Be genuine and focus on providing value. 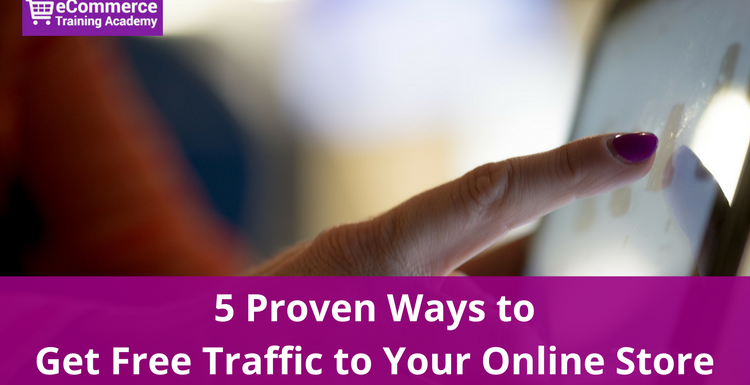 Driving traffic to your online store is not only limited to online initiatives. A lot can be accomplished offline. If you sell hammocks, why not attend events where hikers get together to talk about their latest hiking trips. If you sell hammocks, why not attend Outdoors or Travel conferences. To succeed with your offline efforts, learn to listen and communicate better. I recommend you read 2 books: How to Win Friends and Influence People and Never Eat Alone. It’s important to be where your audience is. Network with individuals that fit your target market or with people that have the attention of your target audience. Get exposed and build awareness of what you have to offer. I’ve said a lot in this post, but there’s one more thing I need to remind you about. Be authentic and learn about storytelling. 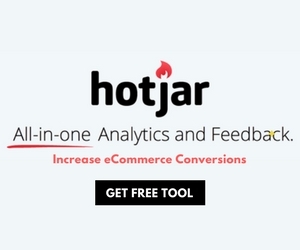 What is your favourite tactic in driving free traffic to your online store? Your Article was simply Good. Thanks for sharing this awesome tips with us! Glad you liked it Richard! Thank you for your support. This is fantastic. I learned a lot from you. I will definitely follow these ways. Thanks for sharing. Thanks for a very engaging and well written article. Thank you Paul. Glad you enjoyed it. Free traffic is great to have. Thank you for the tips! I will apply this to increase traffic to my website and help clients as well. Great! well written tips to increase traffic will apply this to my website. Thank you so much! I am very grateful for this enlightening article. I am new to this issue, but for me, it elucidated several questions. Congratulations on your knowledge on the subject. Thank you very much.